The “herd effect” is a powerful mechanism of the internet marketing, it’s based on following the opinions or behavior of the crowd. Its use makes it possible to attract attention to the services or the goods. It can increase the company’s popularity in the social networks, the number of authorizations on its web resource and much more. The plugin «Wow Herd Effects Pro» will be a unique tool for the stimulation site conversion. 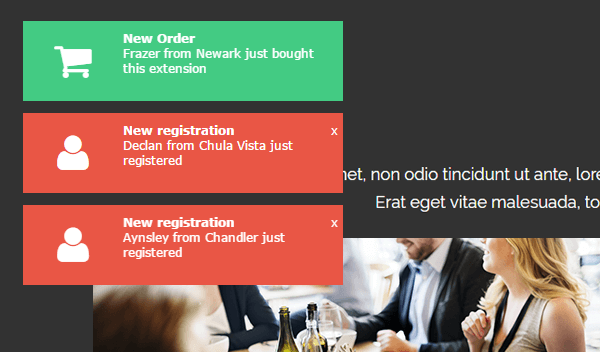 It allows to display windows with notifications about the activity of other users. The created “sense of the queue” can motivate the visitor of the page to take active actions. The plugin helps to configure the window contents, its external appearance and set the output options. To create a notifications window with Wow Herd Effects Pro need to use the “Add new” button. It is required to enter the name of the new element in the appeared field. For example, let’s say the test name “hf-subscription”. Select the “Content” button to edit the content of the notification in the settings menu. 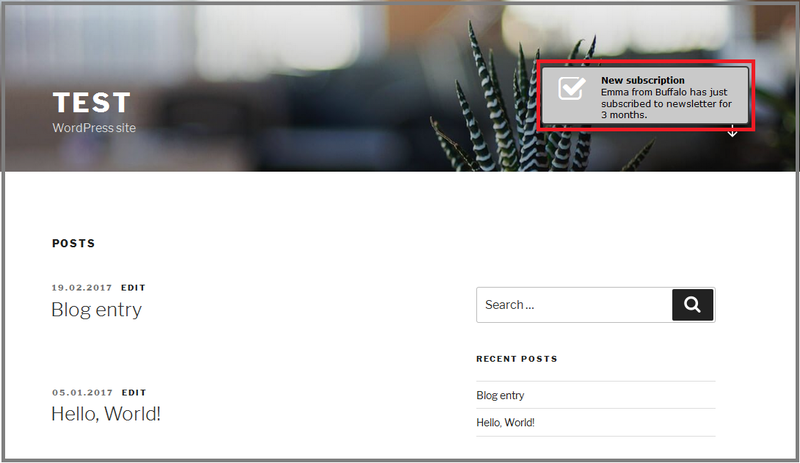 Set the output of new subscription messages to the latest articles in the blog. Add a time period of several months to verify the display of numeric values. Enter the notification title “New subscription” in the Title box. Choose one of the icons in the graphic list. Using topical icons allows to make the pop-up window more visible. Enter the main text of the content in the “Text” field. Here we define the order of output of variables in the message. They give it a dynamic, which leads to the appearance of a herd effect. Variable values are set in the “x2 Varibles” tab of the main menu. All text data is entered separated by a comma. For example, in the field Varible 1 we list the names of new subscribers and in the Varible 2 – the place of their residence. In the example we are used the 20 variants for each sample. The time range of the subscription is set in the fields “Amount min” and “Amount max”. They indicate the minimum and maximum values for a numeric variable, respectively. The “Content” and “x2 Varibles” menu items allow to edit the contents of the pop-up notification for any purpose. They serve for flexible content configuration and creating «a sense of queue» on the site. set the background color for the element and the text. The design of the icon remains white by default. The “Close Button” menu used to control the settings for closing a pop-up notification. The “Close” button is easy to hide when the check box is selected in the corresponding field. The message is received a higher value and the user’s attention. It is necessary to set the auto-close options to the desired interval for such windows. In the example we are enough to display one notification on a 5 seconds. Bright design of the herd effect messages allows attracting the visitors’ attention to the site. This motivates them to conduct dynamic activities on the web resource pages. from the proposed options select the animation for the appearance and disappearance of the window. 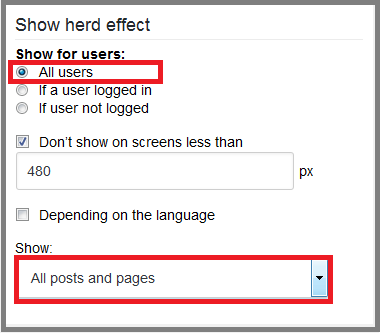 Set the duration of effects to 400 ms.
On the right side of the menu are the basic settings for displaying the “herd effect”. Choose the output for all users of the site, display on all pages and posts. Set the message display limit for screens less than 480 px for viewing convenience. After finish creating a new element and setting all parameters we used the “Save” button in the right menu “Publish”. All subsequent saving is done through the “Update” button. 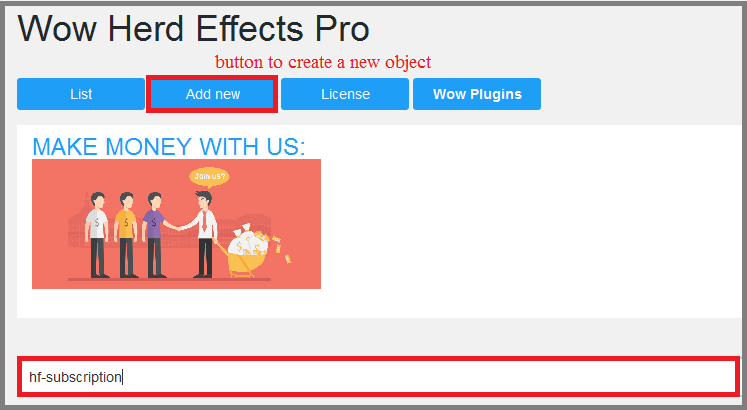 We can output several sets of messages with different content on the web resource through the “Wow Herd Effects Pro” plugin. For example, one is about subscribing to a newsletter, and the second is about ordering or buying any goods. This will increase the value of the site in the eyes of users who have come to its page for different purposes.